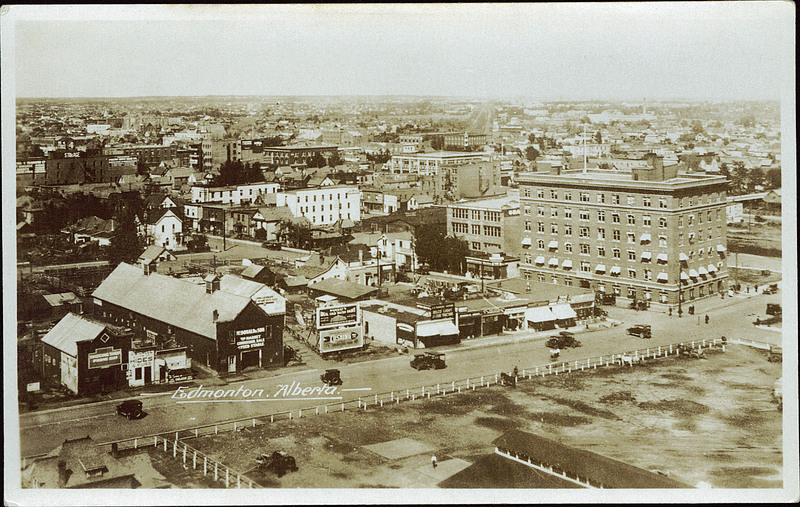 Prepare to be awe-struck by these vintage photographs of Alberta’s capital, taken between 1900 and 1910. 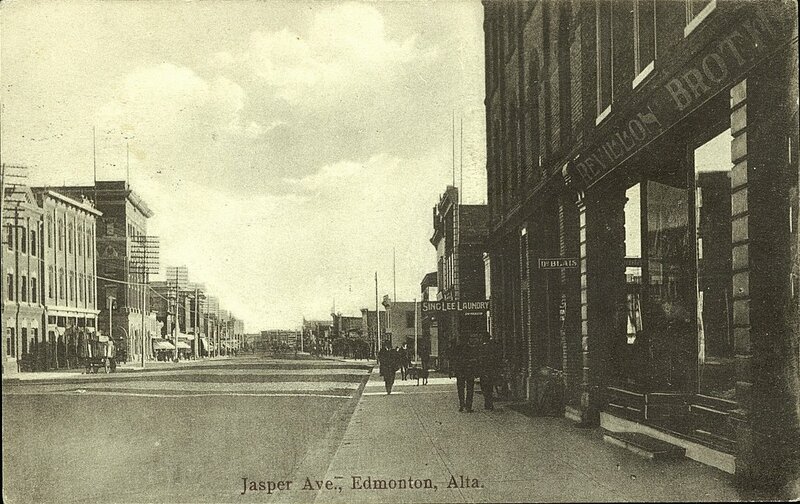 Jasper Avenue was originally named for Jasper Hawes, a fur trader and Jasper, Alberta’s namesake. Hawes operated a trading post in what is now Jasper National Park from 1814 to 1817. The post eventually came to be known as “Jasper’s House” and was designated a National Historic Site of Canada in 1924. 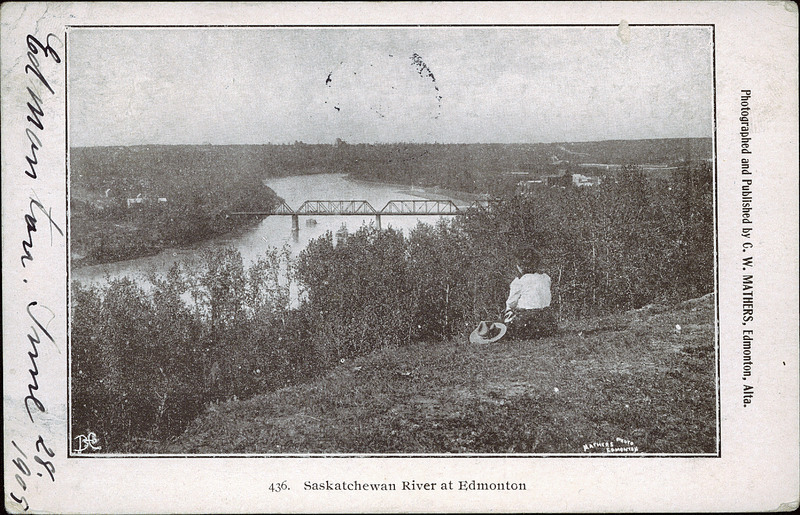 In the late 19th century, two Edmonton businessmen, Sir William Mackenzie and Sir Donald Mann, appealed to the government for money to build a bridge connecting Edmonton and Strathcona. 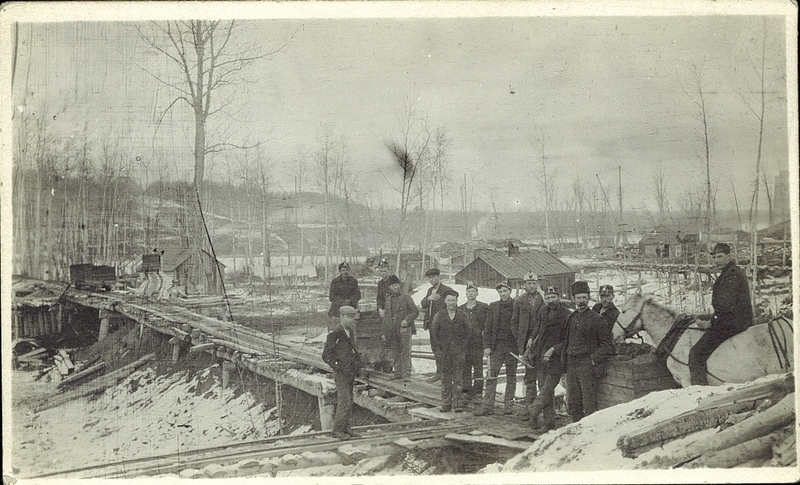 Construction of the Low Level Bridge began in 1898 and wrapped up just two years later. 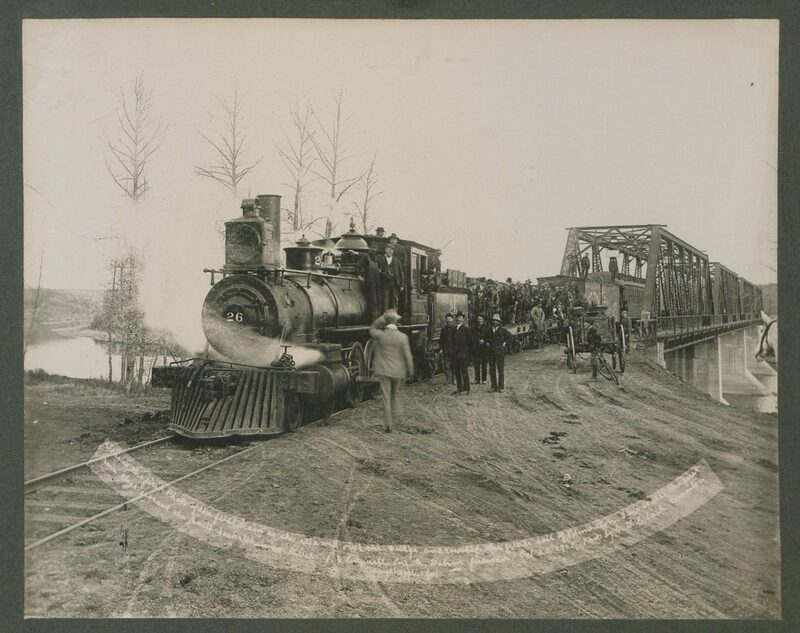 By 1902, it was ready for the first train to travel across it (pictured above). 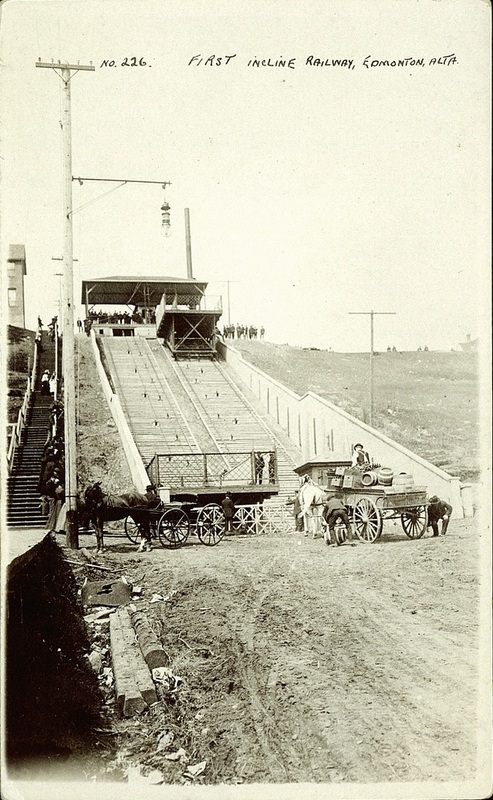 Another piece of Edmonton infrastructure which connected Strathcona to Edmonton was the Incline Railway, also known as the First Street Hoist. The hoist served to transport people and goods up McDougall Hill, which was often a cumbersome if not impossible experience, especially on wet, muddy days. Only lasting from 1908 to 1912, the hoist’s round trip cost 15 cents per vehicle and just five cents for a pedestrian. 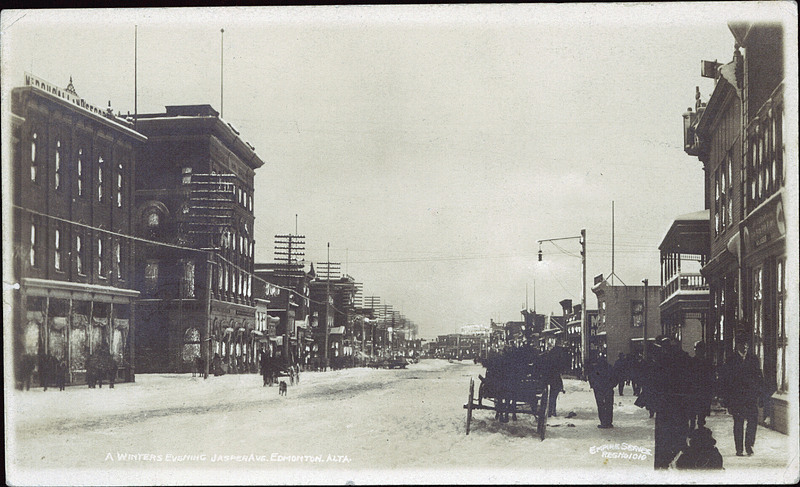 This photo dates back to five years before Strathcona was amalgamated into the city. 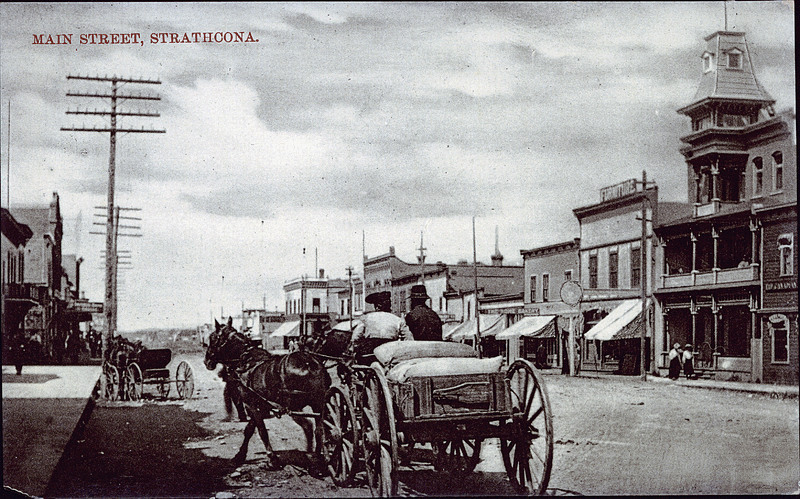 The town was originally named after Lord Strathcona, also known as Donald A. Smith. He was the co-founder of the Canadian Pacific Railway, president of the Bank of Montreal, governor and principal shareholder of the Hudson’s Bay Company and more. 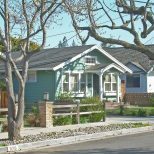 At the time of his death, Smith had a total net worth of $28 million, which adjusted for inflation would be approximately $600 million today. The Hudson’s Bay Company first started mining coal in Edmonton in the mid-19th century, and by the 1880s, mining was a regular practice in the city. The 20th century saw Edmonton become one of the biggest producers of the mineral in the country, the largest deposit being the Clover Bar seam, which accounted for 95 per cent of the city’s coal. 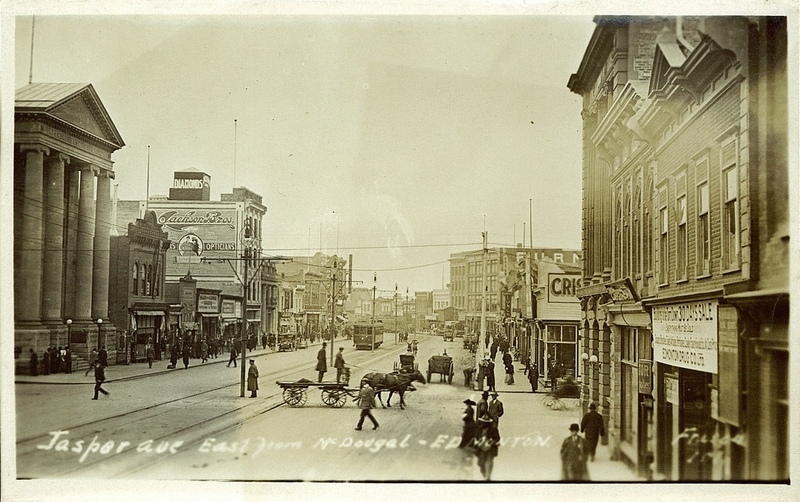 This photo was taken in 1908, the year of the inaugural Kiwanis Music Festival in Edmonton. Kiwanis was the first music festival to ever take place in North America with 100 entries in total and three trophies up for grabs. It’s been going strong ever since. Take that, Coachella! 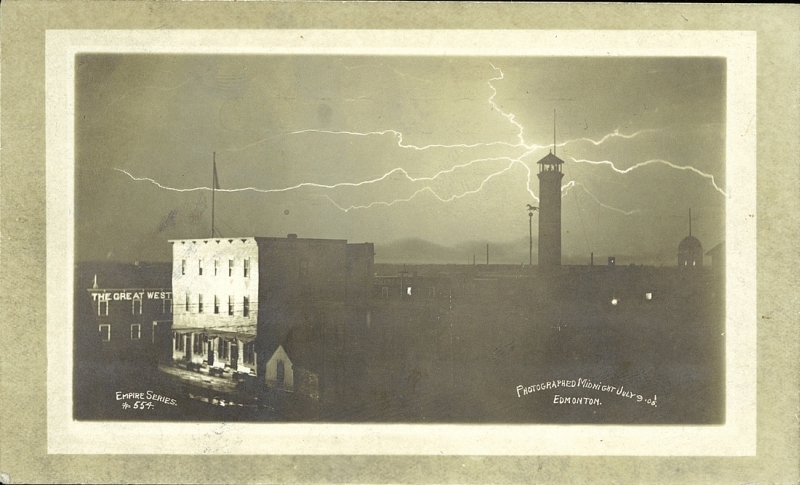 The man who took this photograph was Charles Wesley Mathers, also known as C.W. Mathers. Mathers owned a photography studio in Edmonton and became well-known for photographing northern Alberta and the Northwest Territories. Today, his photos present a definitive and fascinating look at life in Alberta over 100 years ago. 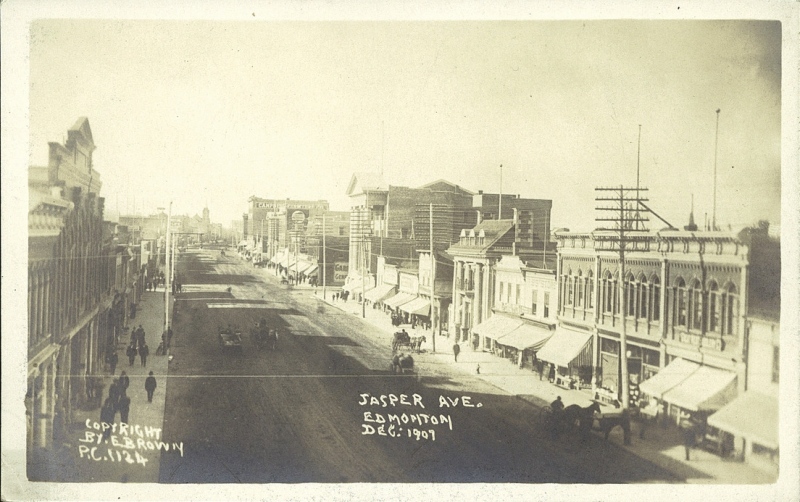 In the early 20th century, Jasper Avenue was still essentially a dirt road. 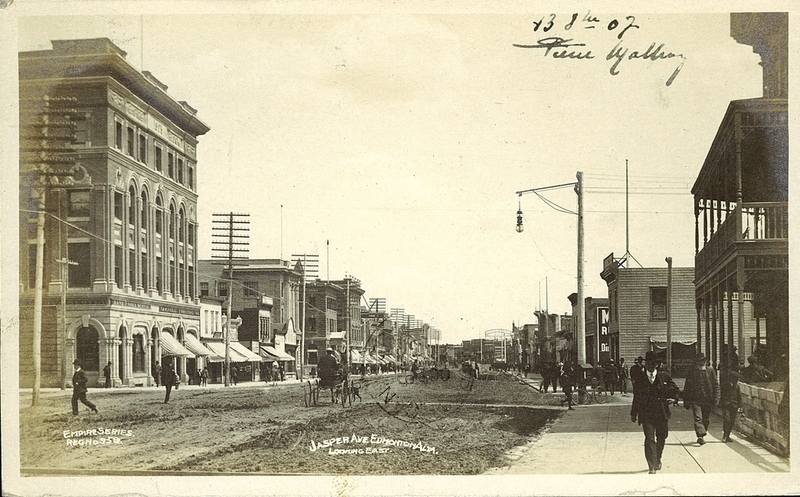 Slowly, sidewalks began to pop up along the streetscape and by the time this photo was taken, cars were beginning to crawl up and down the bustling thoroughfare. 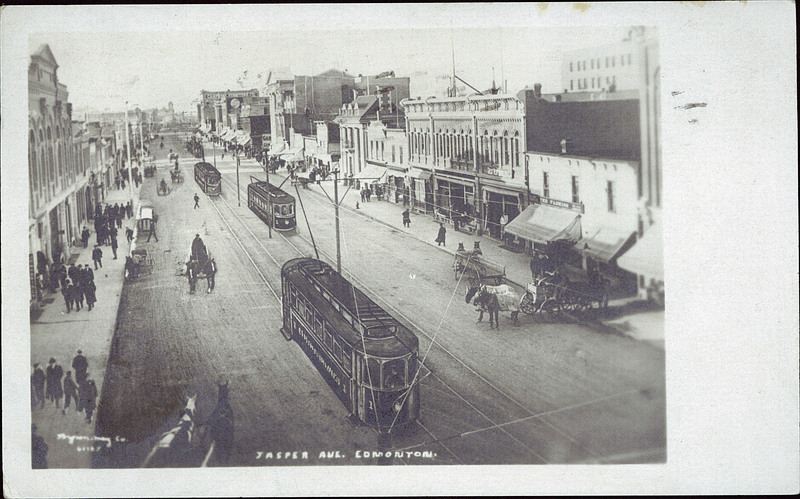 The era proved to be a busy time traffic-wise, as the city’s first cars, streetcars, horse-drawn carriages and pedestrians were all operating at once as modes of transportation evolved. A sign advertising Sing Lee Laundry can be spotted in the middle of this photo. During the early 20th century, Chinese immigrants in Canada were at a major disadvantage due to the socio-economic climate of the time. Many families opened Chinese hand laundries across the country to survive. For many, hand laundry became a symbol of determination and resolve in the face of hardship. 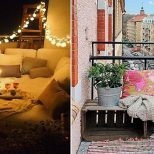 In case you needed another reason to love Edmonton: rats don’t exist there! Nor in all of Alberta, for that matter. When the vermin first arrived in North America in the late 18th century, the authorities in what’s now known as Alberta made sure not to let them travel into their territory. Today, the province maintains its rat-free status by employing a team of pest specialists that work on an official rat control program. 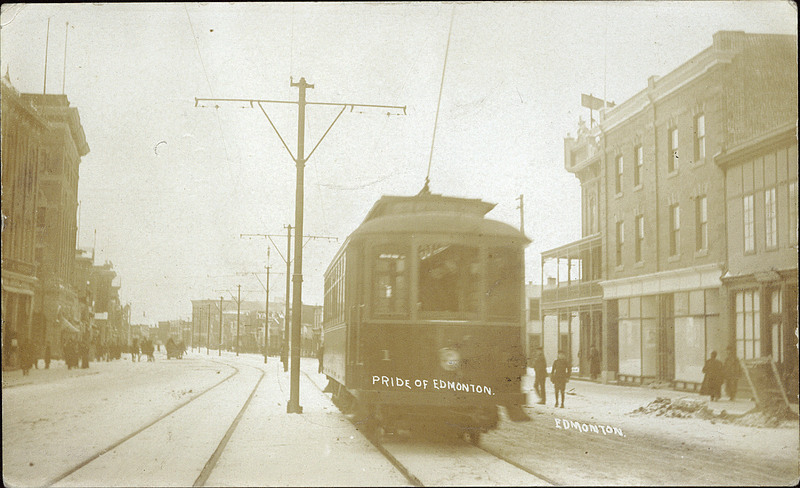 Edmonton 1, the city’s first Radial Railway Streetcar, was built in 1908 and operated on a regular basis until the termination of streetcars on September 1st, 1951. On its last day of official operation, Edmonton 1 transported city officials and dignitaries across the High Level Bridge. Today the car is the only surviving streetcar of its kind and occasionally takes ceremonial trips in Fort Edmonton Park. 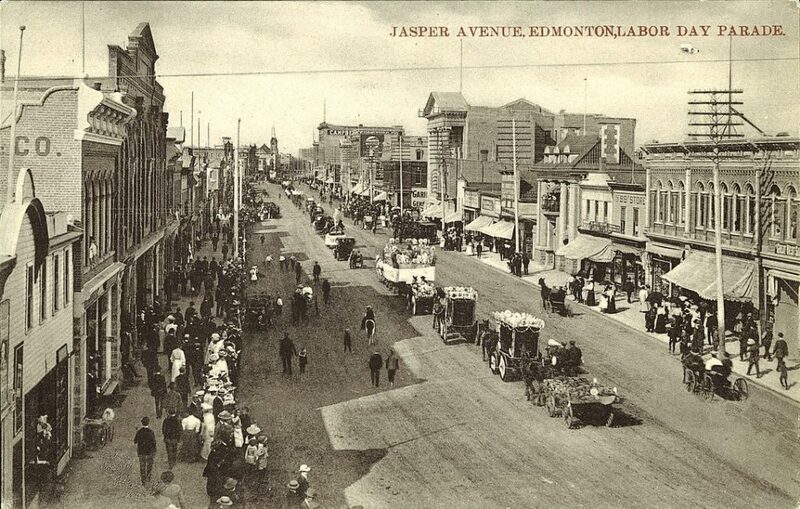 Edmonton is the most northern city in North America to have a population exceeding one million. 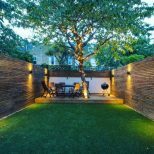 Because of its northern latitude, it only receives seven and a half hours of daylight on the shortest day of the year and 17 hours on the longest. 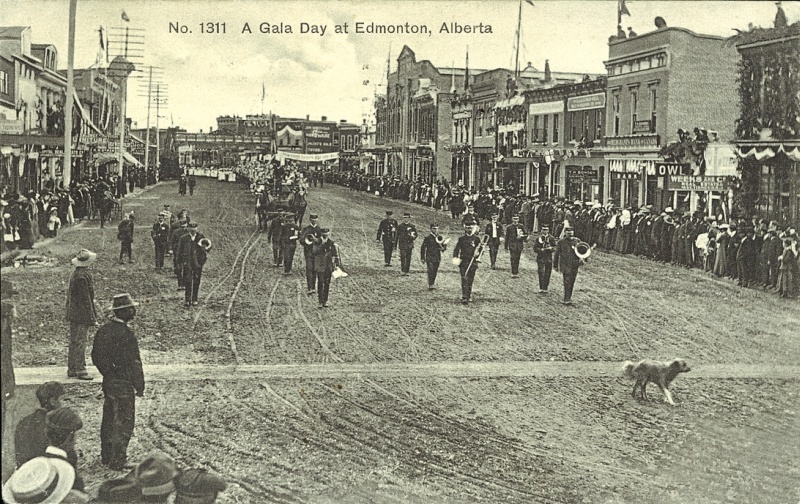 On the very first Canadian Labour Day in 1894, the Edmonton Bulletin reported: “To-day is Labor day, or rather, no labor day, and as a consequence, the stores in town are closed.” Since then, the annual holiday has been a day filled with fun, celebration and respect for workers in Edmonton and beyond. A few changes to the Edmonton streetcar system took place in the year that this photo was taken: transfers were introduced for passengers who were travelling from one end of the city to the other, and the cars received a fresh facelift with green paint applied on the bottom half and red above the windows. 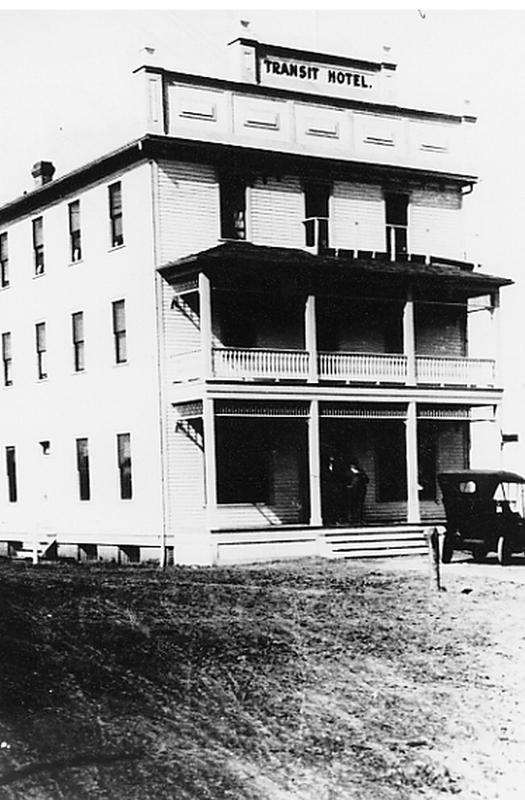 Other than a few structural changes like the removal of the two-storey veranda and the construction of two one-storey additions, the Transit Hotel in Packingtown looks much the same today as it did when it first opened in 1908. However, the interior has since been overhauled, leaving only a few radiators, door and boilers as remnants of the past.